Do you have something of great value and importance that you want to protect? It could be your business, your loved ones, or your property and precious possessions. Your concerns are our top priority; so you can go ahead and enjoy the things that are very important to you and worry less about the future. Our mission is to provide our customers with the utmost service, and get them great coverage without emptying their wallets. We make sure that each unique business or individual is catered to for their own specific needs. We take the time to assess your situation and give you the proper coverage that fits your risk. We have been brokers for over 30 years and specialize in hard to place risks. We pride ourselves on customer service and go that extra mile to service our customers and prospects. If you are looking at getting started in the amusement industry or are shopping around on a better price you might want to give us a shot! We can provide insurance coverage in all 50 states and usually at a better premium than what you are currently paying. 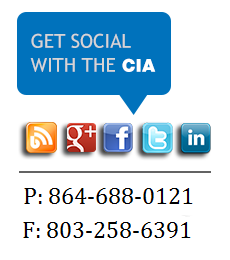 Please give us a try, and maybe YOU can be insured by THE CIA!